Mark King is a singer who was born in Cowes, Isle of Wight, United Kingdom on October 20, 1958. On Spotify, Mark King has a modest following with only about 2,200 followers and a popularity score of 23 out of 100 as of 2018. His most popular track on Spotify is "The Chant Has Begun - Powermix" from the album True Colours (Expanded Version). Mark King's recent TV appearances include Undercover Boss and Cheers. Mark King's recent filmography includes the movies Soul on Fire (2004) and Level 42: Live at the Apollo, London (2003). As of 2018, Mark King has 2,200 followers and a popularity score of 23 on Spotify. True Colours (Expanded Version) and Marky Mark King's Trash are some of the more popular Mark King albums. Notable tracks from these albums include The Chant Has Begun - Powermix, The Chant Has Begun - Powermix, and Just Like That. The Chant Has Begun - Powermix has a popularity score of 13 out of 100, making it the most popular track from Mark King. The Chant Has Begun - Powermix and Just Like That have popularity scores of 13 and 9, respectively. The Spotify popularity score is on a scale from 0 to 100 and reflects the number of times the song has been played and how recently it has been played. There are about 2 TV shows that have featured Mark King as of 2018. Some of the most recent Mark King TV appearances include Undercover Boss and Cheers. Mark King appeared on Undercover Boss in 2012. 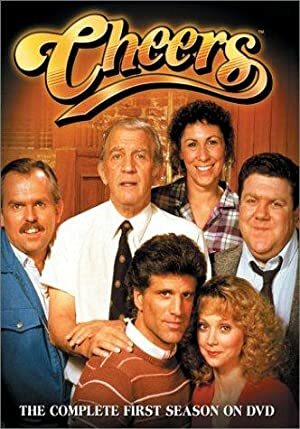 On Cheers, he appeared as Marshall Lipton in 1983. There are about 7 movies featuring Mark King as of 2018. Some of the most recent Mark King movies include Soul on Fire, Level 42: Live at the Apollo, London, and Mark King of Level 42: Live in Concert. Soul on Fire was released in 2004. Level 42: Live at the Apollo, London was released in 2003. Mark King of Level 42: Live in Concert was released in 2002.